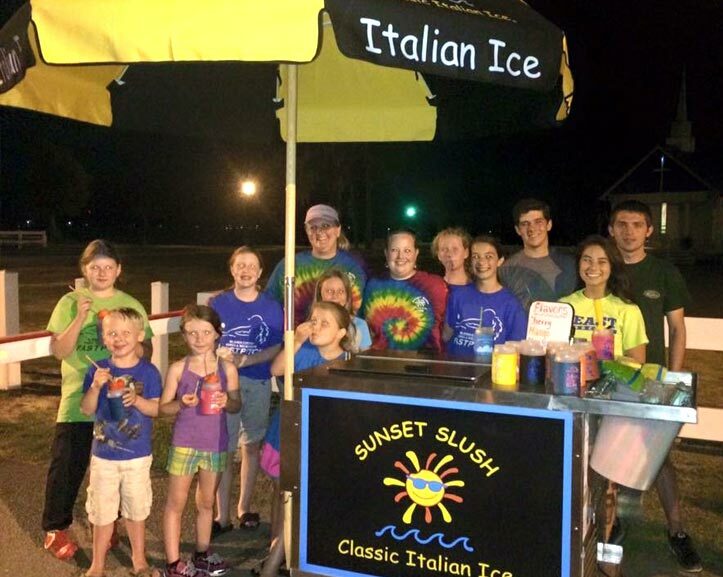 Sunset Slush - Classic Italian Ice® began in January 2003 as a pushcart vending operation. Our original location for vending was the corner of Old Georgetown Road and Route 904 in Brunswick County, NC, along with several other mobile vendors. 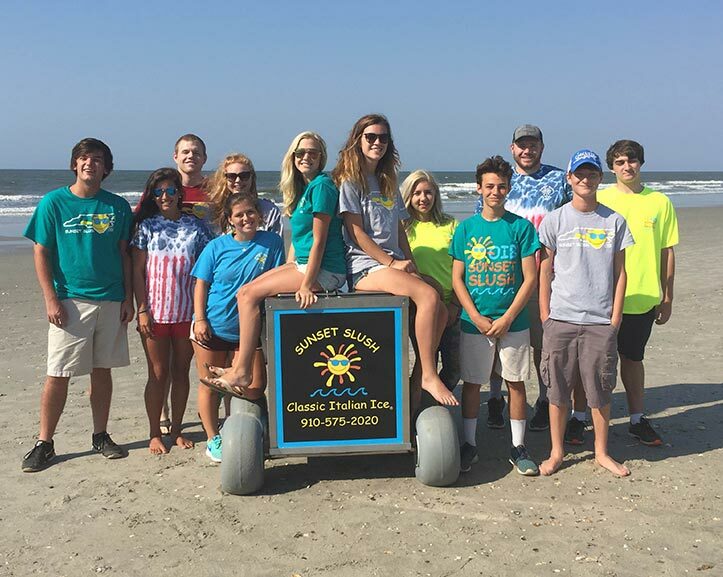 Began vending on Ocean Isle Beach and Oak Island in May 2004. Participate in all the festivals in Brunswick County and surrounding counties, as well as Middle and High School sporting events throughout the county. A member of the Brunswick County Chamber of Commerce since 2003. Known for our participation in charitable events - We often give back a percentage of the earnings to various clubs and organizations. 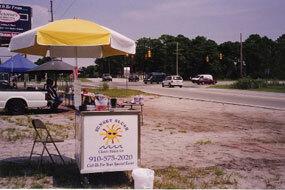 Sunset Slush® at Ocean Isle Beach opened in April 2008 with a walk-up window as a retail operation. There are currently twenty Sunset Slush® shoppes; locations are in North Carolina, South Carolina, Indiana, Georgia, Maryland & Pennsylvania. 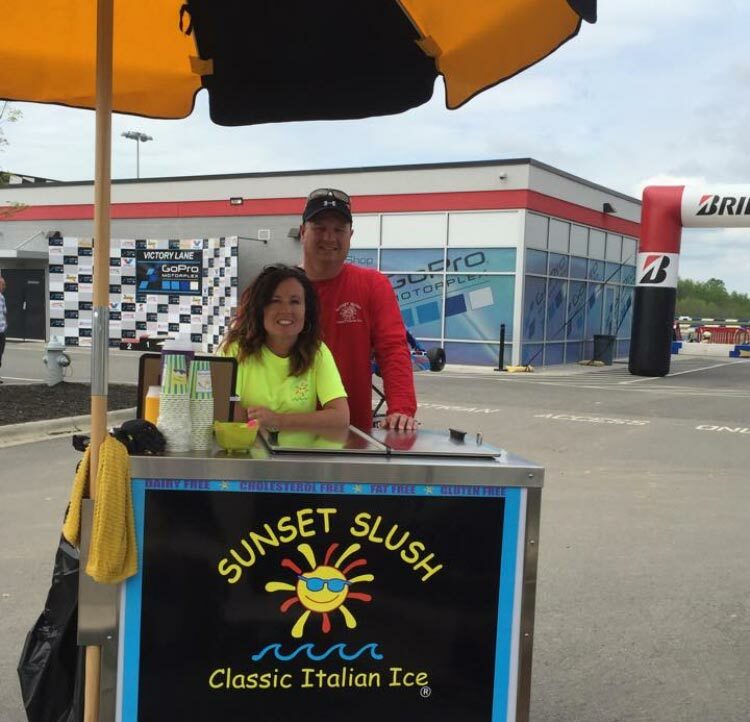 There are 60+ Independent Operators selling Sunset Slush - Classic Italian Ice® throughout the Carolinas, Florida, Georgia, Illinois, Indiana, Kentucky, Louisiana, Maryland, Ohio, Pennsylvania, Virginia and West Virginia. We have Pushcart rentals with bucket plans specifically designed for each event. Sunset Slush® is available for sampling. We have not found another comparable product in our area and our customers continue to tell us there is nothing like Sunset Slush's unique flavors and smooth texture! Our product is all the rage mixed with wine and other liquors; making our Infusions a popular niche for our private events.